We are soooo lucky, living in southern Ontario, to experience all 4 seasons. I can't imagine living in a climate that doesn't change. How boring would that be - not being able to change your wardrobe or your home décor with the seasons? Sunday September 22nd marks the official first day of fall. As the weather cools and the leaves change colour, I think about getting cozy inside. Baskets of outdoor pillows are replaced with baskets of throws. Fabulous throws from west elm. Gone are my summer decorative cushions. 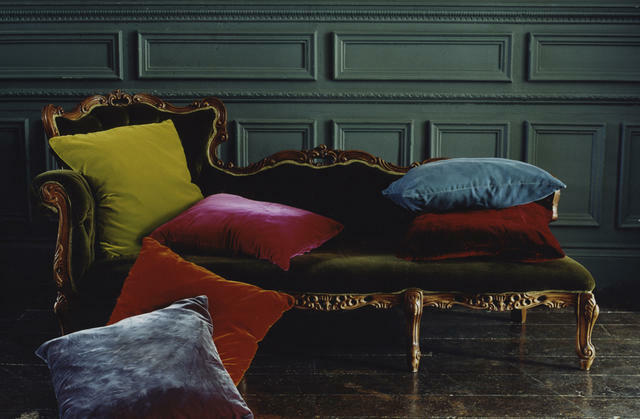 I will be looking for some gorgeous, soft velvet cushions with a pillowy feather insert. I add bowls of harvest fruit like apples and pears. And fall flowers, like mums, mixed with garden herbs ( sage) sit on our kitchen table. Outside I hang a wreath of hydrangeas and sedum on the front door. As fall unfolds, we will be busy raking ( lots ) of leaves, celebrating with friends and family and enjoying the beauty of the season.